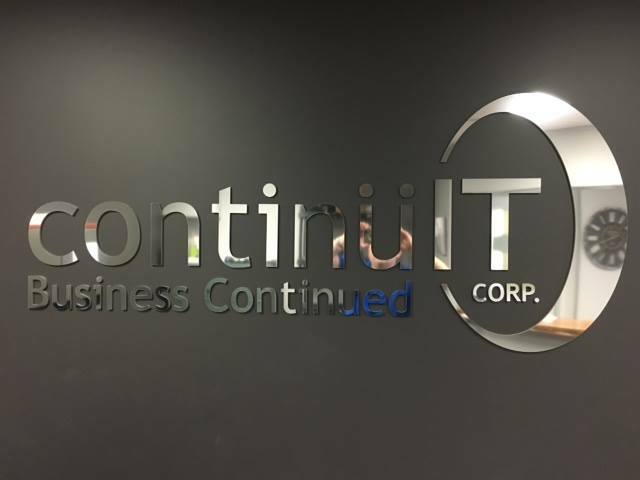 ContinüIT Corp Started in a basement 9 years ago. From that begining we have grown in to a small business and residential MSP and solution provider servicing the greater part of Southwestern Ontario. Located at 50 South Street in Goderich Ontario, We provide support options and network solutions for all types of applications. We also offer hardware sales ranging from home computers to network appliances and cloud options. We're always here to help! So feel free to drop us a line if you have a question or concern, or even if you want to give us some feedback. Don't hesitate to let us know how we can help.